Appointments with salon managers are at a £5 premium. 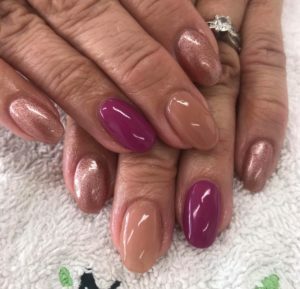 All Manicure services include a colour choice of Zoya polish, with over 50 different colours, shades and effects to choose from you’ll be sure to find a colour that suits you Zoya is free from Formaldehyde, Formaldehyde Resin, DBP, Toluene, Camphor, TPHP, Parabens, Xylene, Ethyl Tosylamide & Lead and can last up to 7 days on natural fingernails. Mavex Callus Treatment – Instant results, up to 100% callus removal for results up to 4 weeks! All Pedicure services include a colour choice of Zoya polish, with over 50 different colours, shades and effects to choose from you’ll be sure to find a colour that suits you Zoya is free from Formaldehyde, Formaldehyde Resin, DBP, Toluene, Camphor, TPHP, Parabens, Xylene, Ethyl Tosylamide & Lead and can last up to 4 weeks on natural toenails. Pedicure clients are advised to bring open toe shoes. Clients in their first term trimester, must check with their GP before having any Pedicure Service. 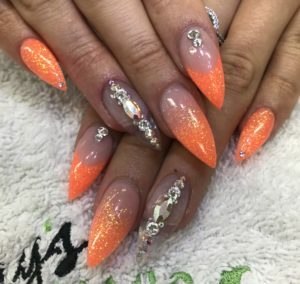 Luxury pedicures are usually performed privately in our beauty rooms, other pedicures can be requested in privacy but are very limited and are only available in Alton and Petersfield salons. 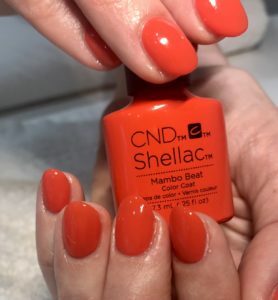 CND Shellac is known as ‘the two week manicure’, with its long lasting wear and being 100% dry after application, its taken the nail industry by storm. We have over 50 colours to choose from or french for +£5 so you’ll be sure to find the right colour for you. 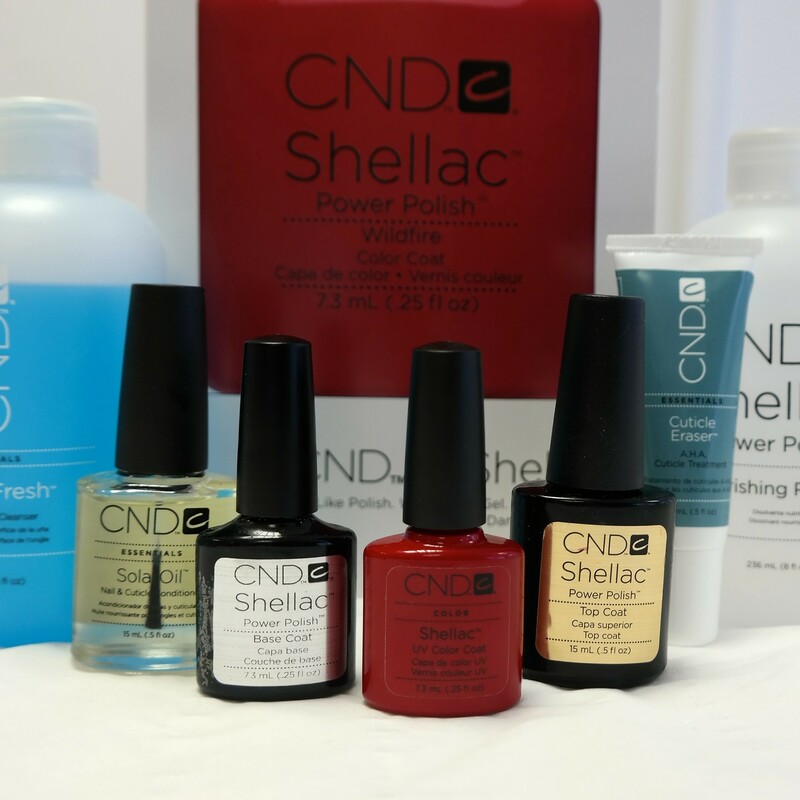 Shellac is also free from Formaldehyde, Formaldehyde Resin, DBP, Toluene, Camphor, Parabens, Xylene & MEK. 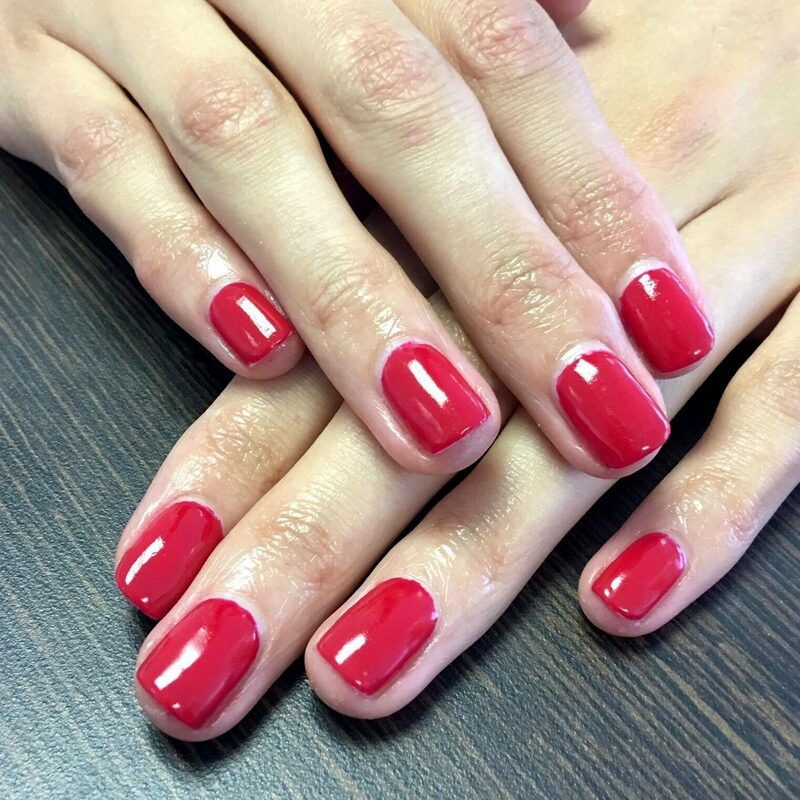 *NEW* to Petersfield & Farnham – Shellac LUXE for 60 second removal! Ask your technician for availability and information. Infill/Maintenance – after 2-3 weeks of wear, includes colour removal, product application of growth, rebalance & cutdown/re-shape. 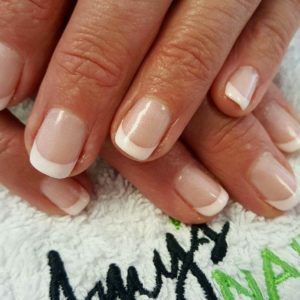 All enhancements are free from MMA, with toxin free prep and acid free primers, also includes a choice of permanent white tips or Zoya colour nail polish, with a 3 day free repair guarantee.